Blessed by a pastor for ministry, Stony Haven was dedicated to God’s glory in 1996. The Holy Spirit’s guidance and inspiration enable us to create a safe place for families to reconnect and celebrate life. We have been blessed to be a blessing. It is our prayer that you discover unique ways to refresh yourselves, build relationships, and create new memories. 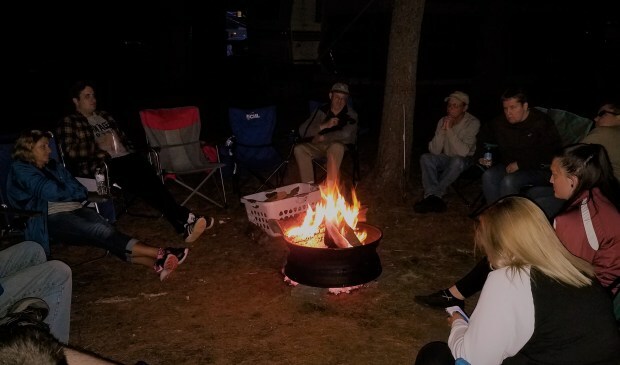 Fresh air, starry nights, warm fires, toasted treats, family stories, instrumental music, sing-alongs, group games, faith sharing, or just relaxing in each other’s company; these and more delights await you at Stony Haven Campground & Cabins.